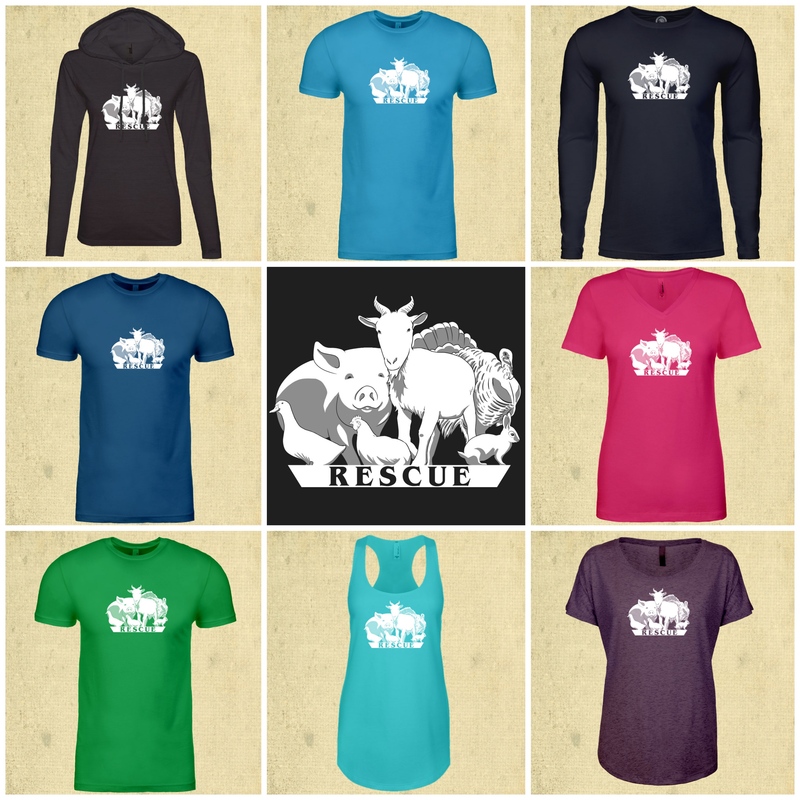 Our new rescue shirts are available for a short time only. The shirts are perfect holiday gifts. For every item sold, FLOAT.org will donate $8 to Harvest Home Animal Sanctuary to help us save the lives of more animals. Our shirt sale ends this Monday, December 3rd at 8 AM PST. Head on over to www.float.org and check out the apparel selection – lots of fun colors to choose from.